We all have our favorite "The ONE" shoe that lived beyond it's prime years and still in good condition. When Christmas comes around, it's okay to want feel comfortable and look good in those shoes but the last thing we want to do is scare the carolers and our friends away with the eerily smell that comes from them. Especially not when Santa has decided that you are in his good girl list! I was introduced to GRAN'S REMEDY and I really need to share this wonderful festive savior. Cut back all the unnecessary frustrations. 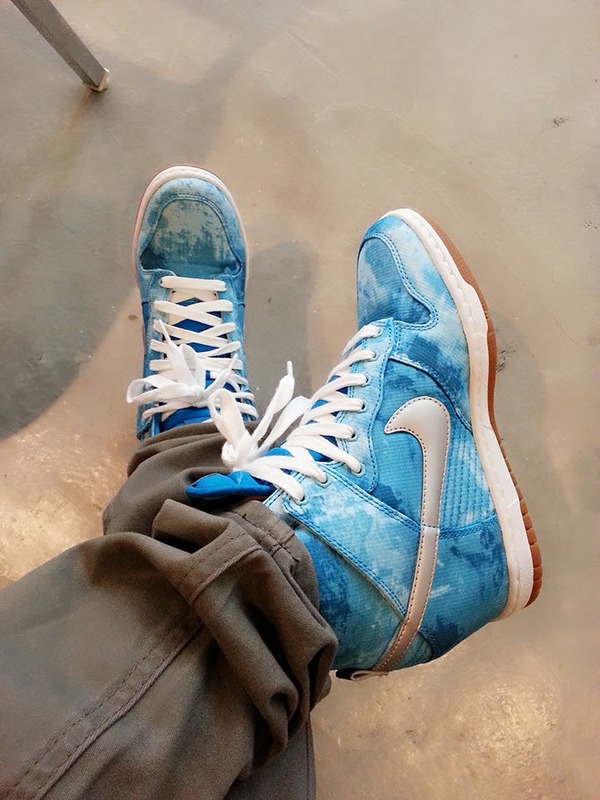 I, too have this cool shoes of mine which I am rather fond of . The thing about them is it has this musty smell that accumulates over years and it turns my boyfriend off every time I remove those shoes. Things isn't made simple when the material is of leather and you know how allergic they can be towards water. I have always tried to maintain hygiene when I wear them but nothing seems to work. Made in New Zealand, it has spread it's wings since 1982 to many countries, including Australia, Japan, Korea, UK, USA and parts of Asia and Europe. 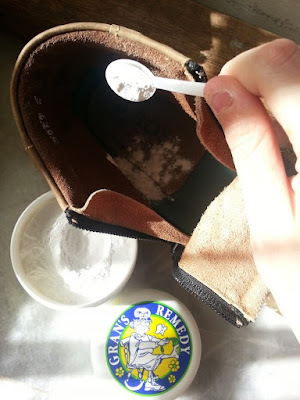 Ingredients: Alum, Talc, Zinc Oxide, Zinc, Undecylenate, Silicon Dioxide, Manuka oil & Kawakawa leaves. Disclaimer: Photo from Gran's Remedy official Facebook page. Place a spoonful of powder (Spoon included in the pottle) into each shoes DAILY for 7-10 days. Only place them in shoes worn daily. 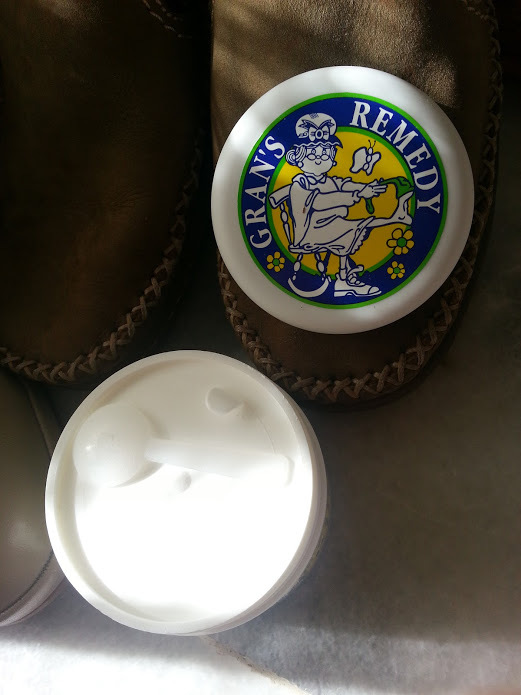 You may also place them into 'problem' foot wears such as sneakers. Thank goodness this one made life so much easier. I love it so much for the fact, I don't have to think about throwing my treasured shoes away anymore. 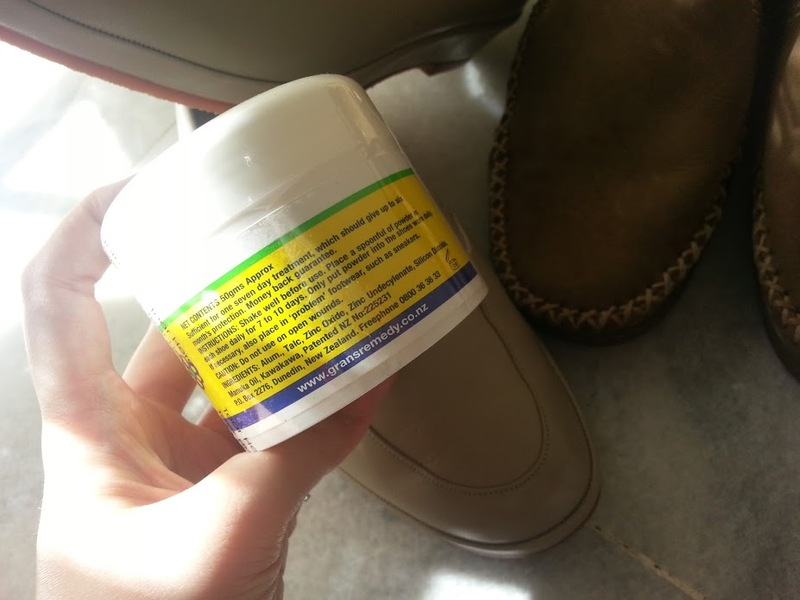 Although it is practically safe to wear your shoes straight away or apply the powders directly to our feet (for those who has smelly feet issues; so long there is no open wound), I wore mine with socks to prevent them from direct contact with my skin condition. The results is pretty instant. All it took is the second day to reduce the bad odor. 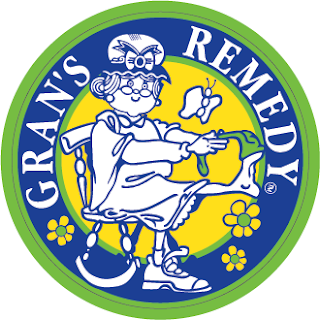 I am really looking forward to having my shoes odor-less free up to 6 months, as Money-Back-Guaranteed by GRAN'S REMEDY. What else, they even include free shipping within Malaysia. 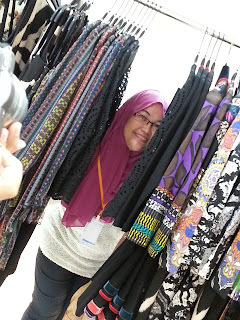 They are having a promotion now at only RM59.00 per 50gms each! 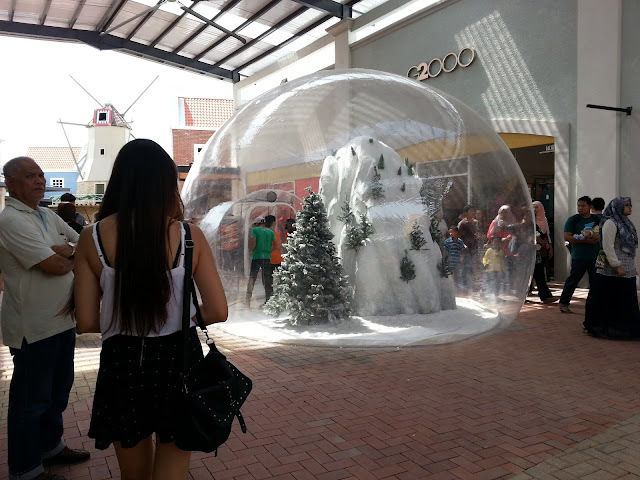 December has a different meaning this year. Yes, we are all going to be Big Sisters (with a couple of Big Brothers) for the day. The Butterfly Project and team has decided to celebrate Christmas differently by fulfilling the wishes of 15 children from House of Chrestus, Cheras. 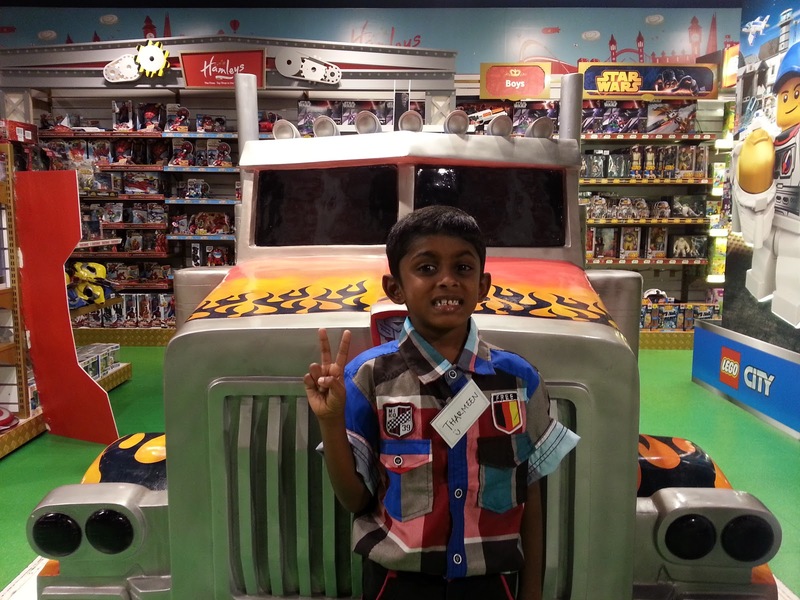 Paired up with a child, our role is to make them happy, keep them accompany and let them buy what they truly wished for. 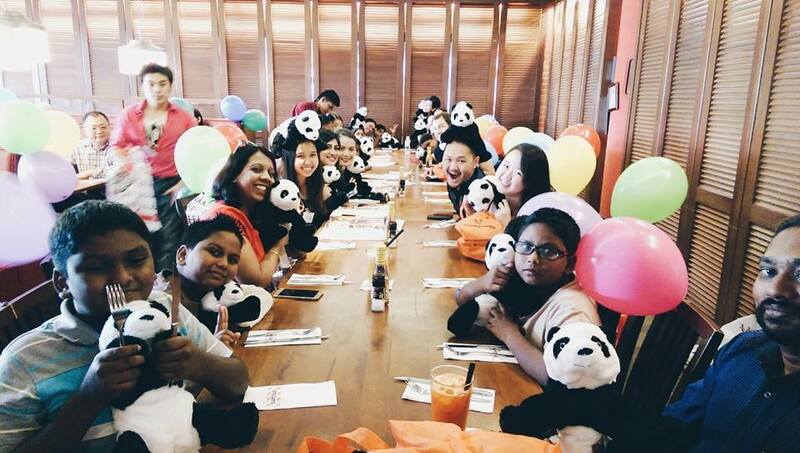 Thank you to the sponsors, FoodPandaMY and UberMY for bringing unforgettable happy memories to the children. Without your passion, this event will not be what it is today. Our day starts at 10.30 am by gathering at Hamley's, One Utama. 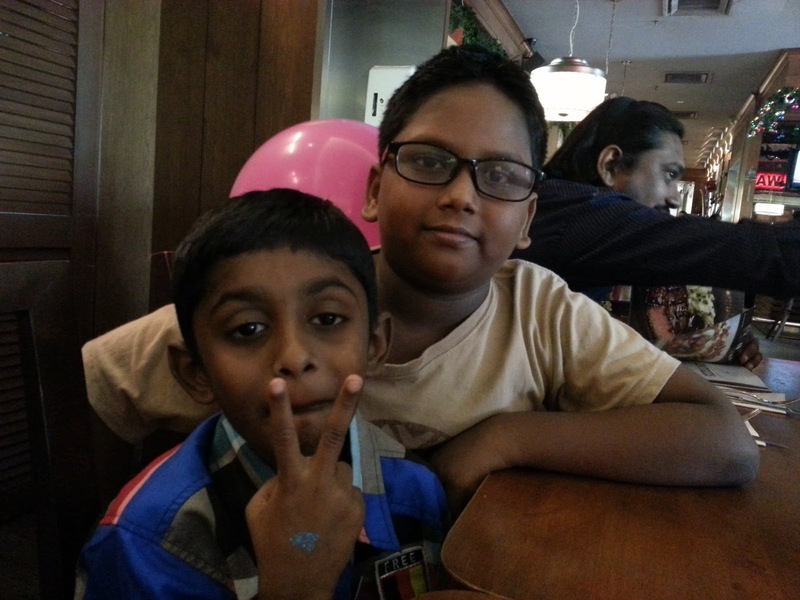 UberMY has been very supportive in bringing the kids over to meet us. Meet Tharmeen, my "thambi" of the day. We got matching Star Glitters on our hands! I noticed that he is good at playing games involving calculation and he plays them well. 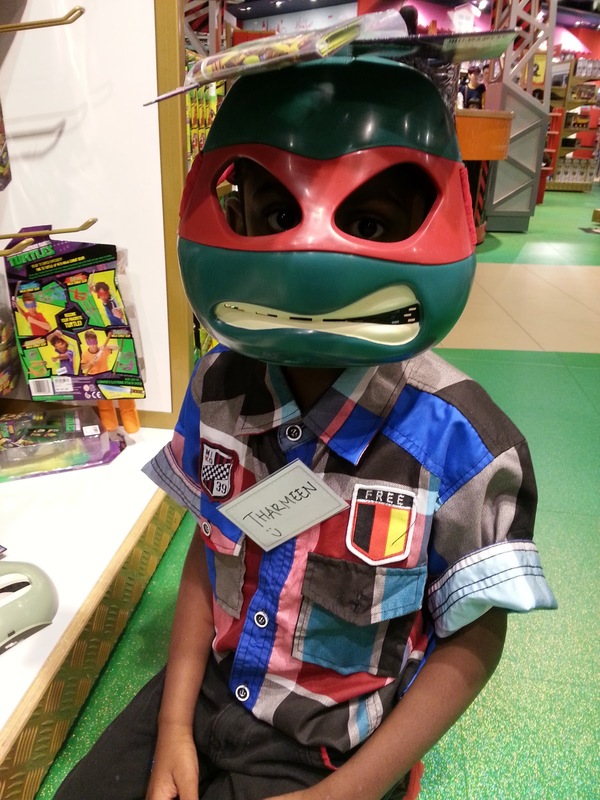 A polite boy who never pushes and gives way to his other brothers just make me want to dote on him more. The brothers checking out each other toy's. 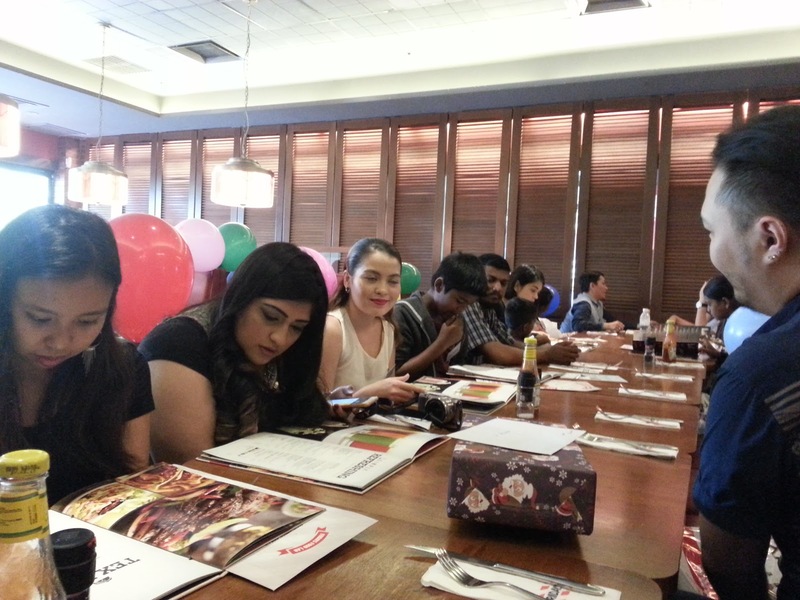 Group picture with House of Chrestus's children, bloggers and FoodPandaMY. HamleysMalaysia decided to jump the wagon and gave more surprises to the children! Cars for boys and Dolls for girls! Thank you! 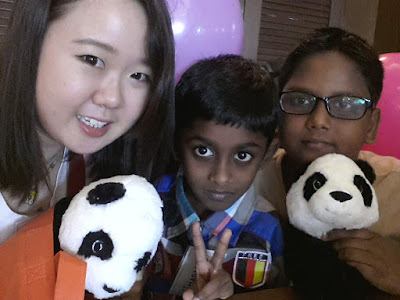 Till we all meet again in year 2016! 40 Bloggers went on a Fashion Mission. 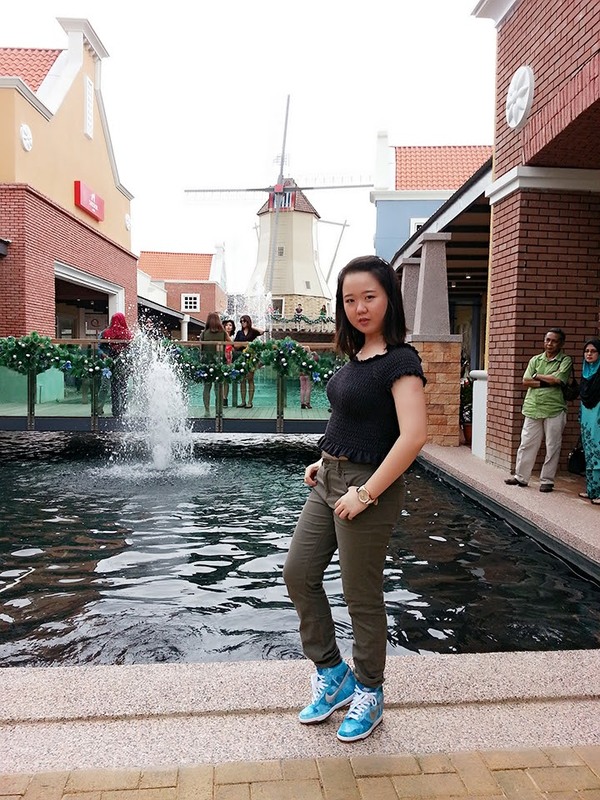 It was truly an enjoyable shopping experience, thanks to Freeport A'Famosa Outlet for being such a great host. 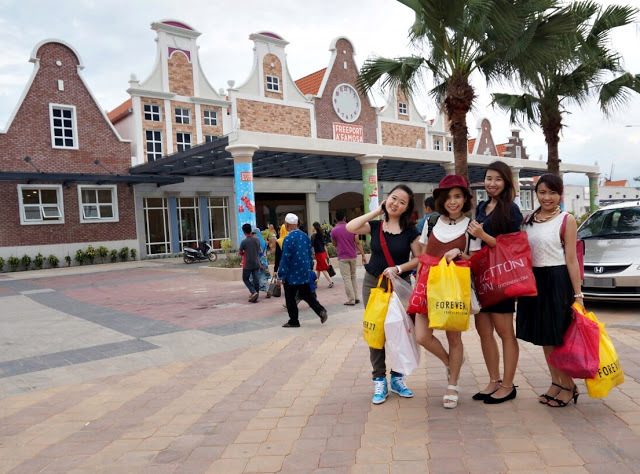 We were invited to see and experience this premium outlet center last December 6th. Freeport A'Famosa Outlet offers a variety of designer brands and fashion items, comprising of 81 retail lots, food and beverage units, exhibition and event hall. There are 30-70% sales over 70 fashion brands, an opportunity not to be missed, especially when our greens isn't as strong as we all hoped. 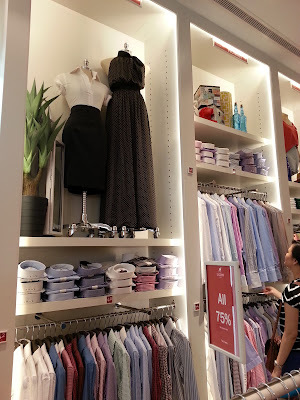 To me, it was almost a Christmas gift came early as I have initial plans to visit the new 'shopping heaven' after hearing all the too-good-to-be-true words from friends and family. 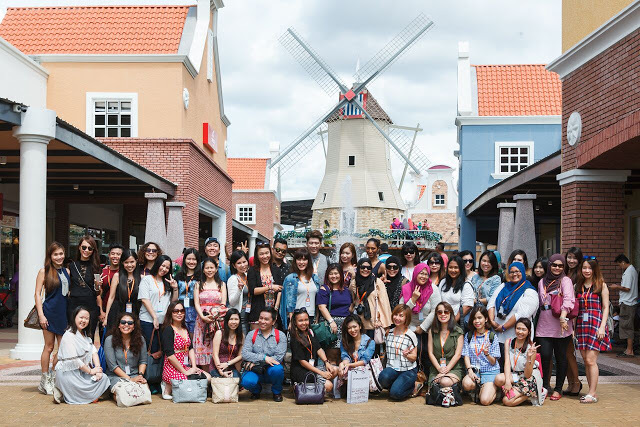 In conjunction with Freeport A'Famosa Outlet launching, 40 Fashion and Lifestyle bloggers were carefully selected to participate in the 'Style on a Shoestring' contest. 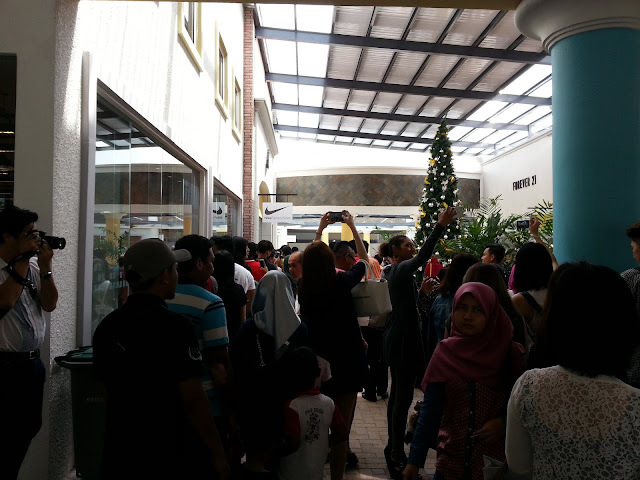 We were divided into 2 groups; GROUP A (Stylish Outfit) & GROUP B (Casual Outfits). 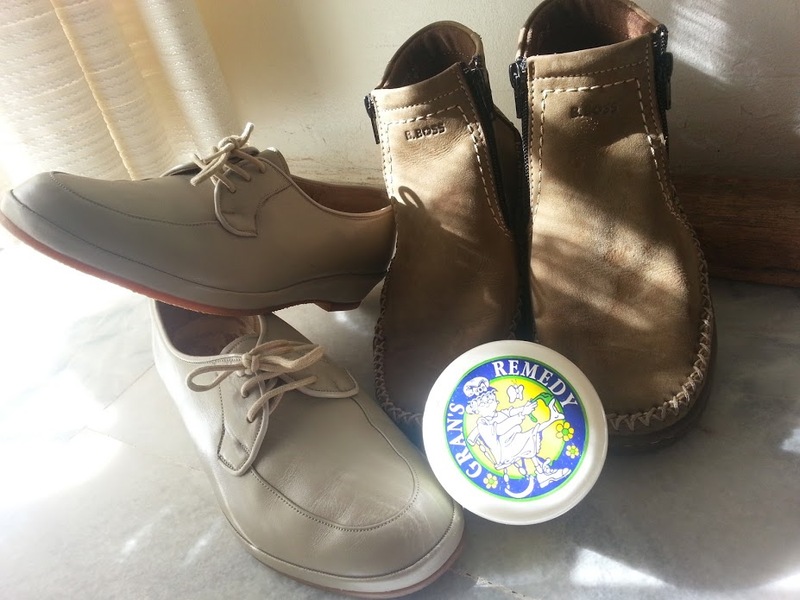 Each blogger is required to bring the out his and her best when it comes to styling with RM350 and within 2 hours. Useful tips on how to shop smart were given by the invited 4 renown influencers; Xandria Ooi (Malaysian Celebrity), Sue Lynn @ Bangsar-Babe, Heidi @ The Fashionista and Nana @ Bwincessnana. It was a great opportunity for all of us as we also get to ask questions on things like how improve as a professional blogger. Consider staple clothes that is versatile. Don't splurge on clothes that you will only wear once. And we are on the move! 2 hours may seemed long, but in actual, it is not sufficient to cover the entire area comprising of 180,000sq.ft. 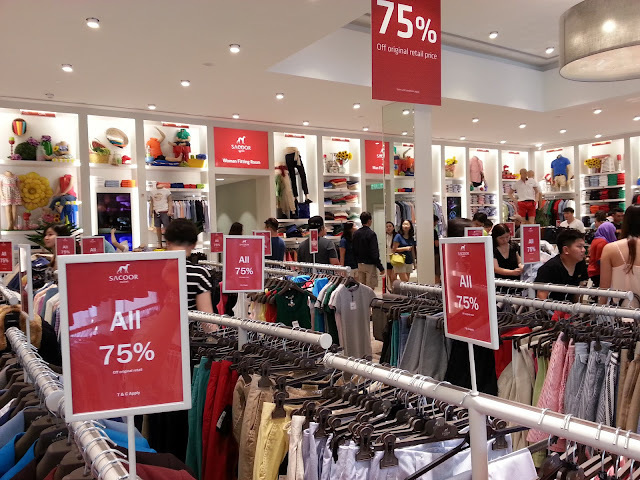 The fact of long queue to the limited fitting rooms and payment counter does not make things easier. Let's not even talk on the endless line entering the heavily discounted NIKE outlet. Image taken in Luv Lux. 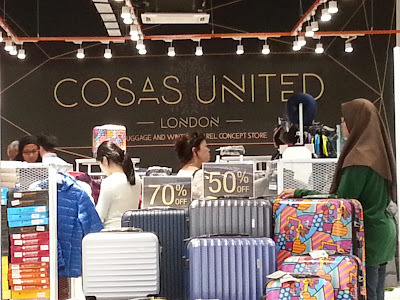 Great for travelers, exclusively by Cosas United. After much adrenaline in accomplishing our task, here is my final casual look. I managed to purchased 2 sets of clothes and a pair of NIKE shoes. Pretty good deal as everything sums up to below RM400. 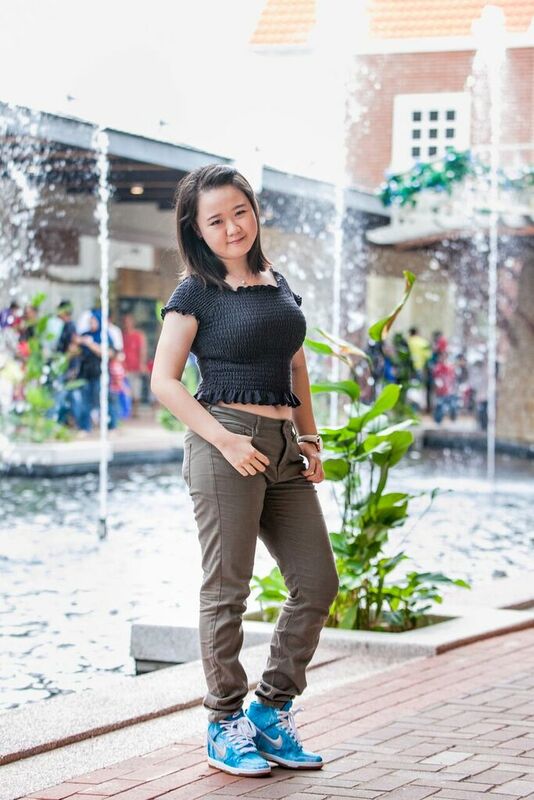 Elastic Top from Forever21 (Buy 1, Free 1) worth RM40. 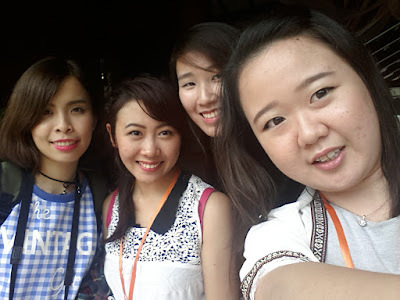 Here are some memorable fun pictures with the bloggers. Group picture with 40 bloggers and influencers. From Left to Right | Sharon, Nicole, Yuh Juin and I. 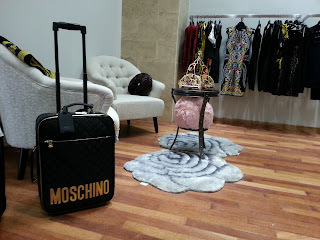 Thank you for the light refreshment at West 57th St by Zang Toi. Noting that Freeport A'Famosa Outlet has just launched in mid November 2105, there are bound to have some vacant shops. Just don't get your hopes too high. As there will be major price slash EVERYWHERE, be prepared to face the crowd. Although I love my NIKE shoes, I had to admit I got upset during the process. The shoe box labeled RM170 but after waited on the long queue (considering that I was behind time), I was told there has been a mistake at the counter that it actually cost RM210 (which is out of my budget). I didn't want to requeue, hence took the bitter pill. Should have the box been correctly labeled, I would have be able to get extra accessories for my mission. Consoled myself by saying it's still cheaper than getting them at the retail stores. Moral of the story: Ask before buying. Bring along an umbrella. As it is an open outlet, you may encounter sunny or rainy days. Although they have shades along the side walk, it would be better to be safe than sorry. And look out for your loved ones. We don't want any missing kids or boyfriends. Top 10 Best Dressed Casual Blogger. Here is all you've got to do. 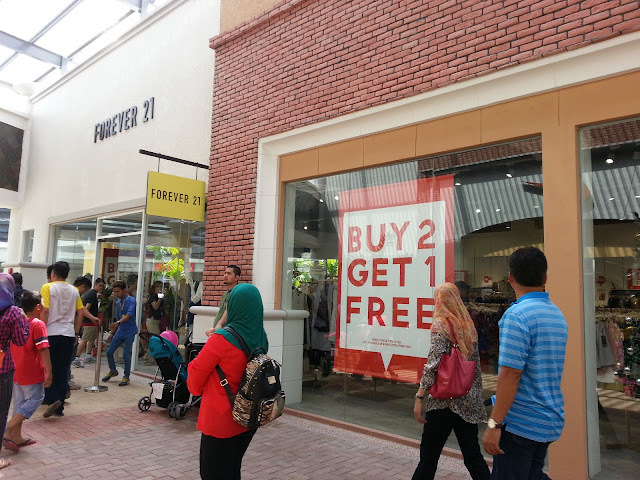 Like Freeport A'Famosa Outlet Facebook Page. 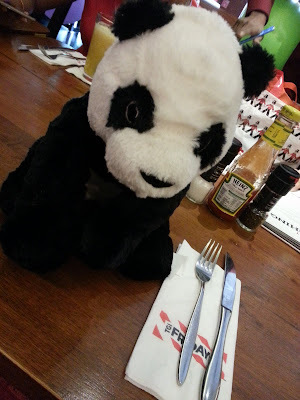 Like my picture in the Style on a Shoestring - 'Most Stylish Blogger' album. **Contest ends 16th December 2015. Located just outside of A' Famosa Resort Malacca, Freeport A'Famosa Outlet is surrounded by rolling hills and spectacular scenic greenery. The resort is rated as one of the region's foremost leisure and holiday destinations. 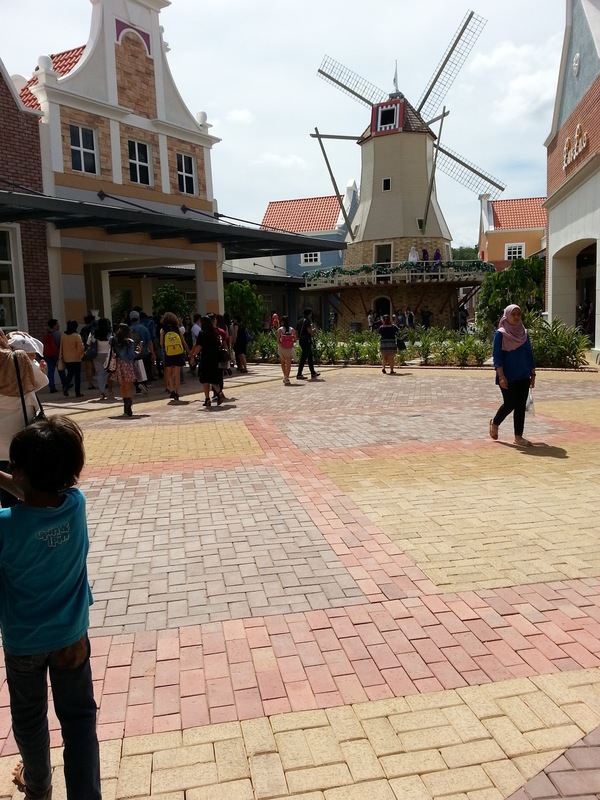 Freeport A'Famosa Outlet is easily accessible from the North-South Highway, which is about 55 minutes via the Alor Gajah Interchage from the Sungai Besi toll and only 30 minutes from the historical town of Malacca. 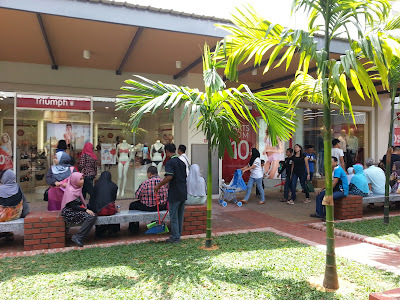 Freeport A'Famosa Outlet aim to provide joyful and exciting shopping experience with partnering popular fashion brands such as Nike, Cotton On, Espirit, Puma, G2000, Carlo Rino, Clarks at an unbeatable low price! The unique setting which is family-friendly, will guarantee an unforgettable time. Follow their social media page for the latest updates on special deals and activities. People of today are getting more health conscious. It's not hard to mention someone close to you, who is a health freak. I cannot blame them, same way at how they would look at us, who are messy & lazy beyond their rational. Speaking about moderation, yeah? 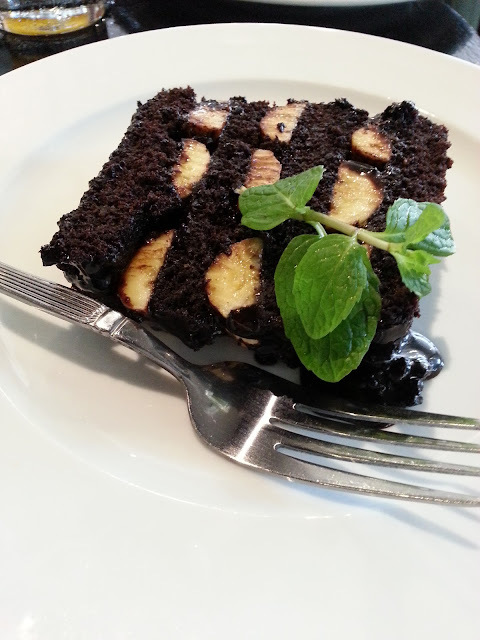 So, coming back to health conscious. I supposed you might be able to recall my little incident that requires me to be hospitalized. Not an entirely pleasant situation but we all have some lesson to learn. And so, I started to love myself a little more by looking for something more organic to live by and of course, keeping myself clean. It was about the right time, Natta Cosme came into the picture. Thank you for sending me the Happy Healthy Skin Set by YUAN Soap. Really appreciate it. 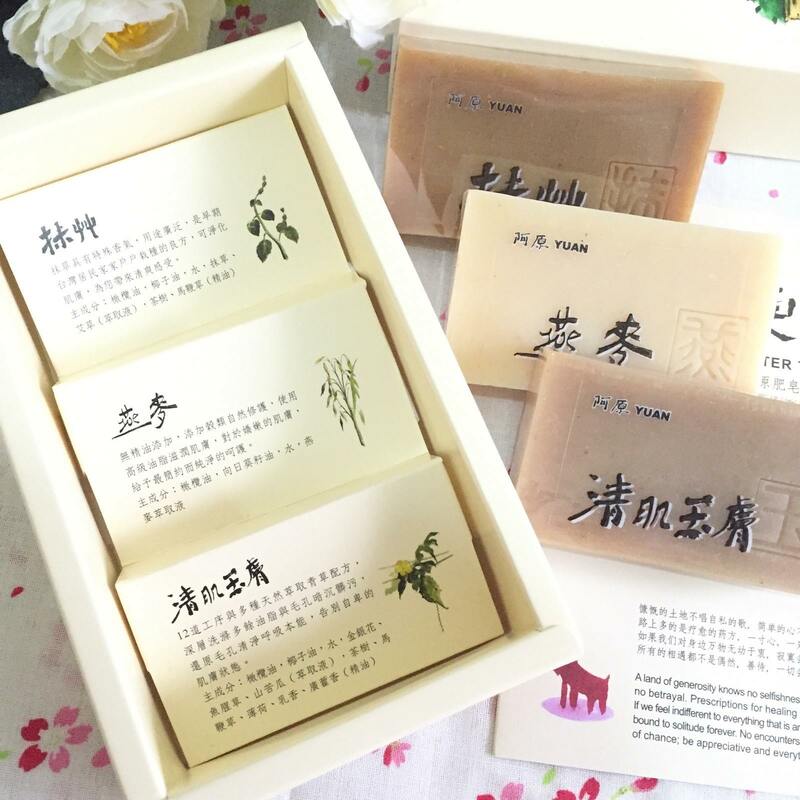 Let's talk a little about these YUAN soap bars. 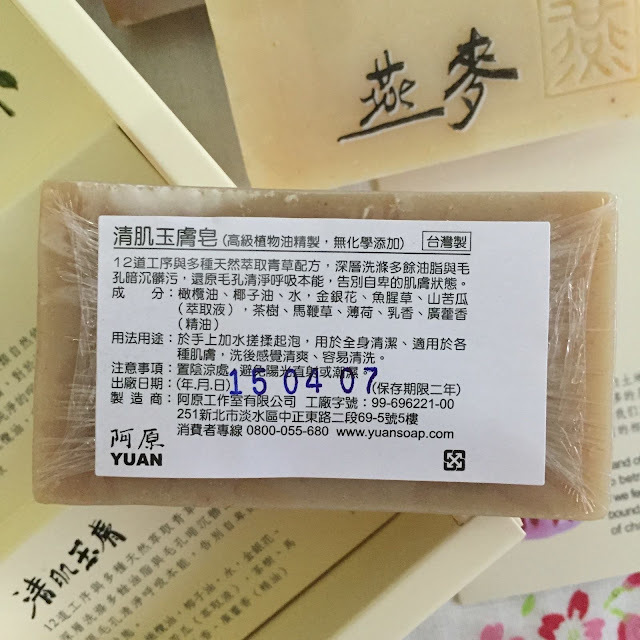 Made in Taiwan, the YUAN Soap are free from any coloring, essence oil, fragrance-fixing agents and what so ever people would put in the soap bars we have on the supermarket shelves today to make them sellable. It is also stearic acid and paraffin wax-free, commonly used to plump up soaps. No animal fats are used in this soap production. The essence of herbs used in the YUAN soap preparation are prepared with prolonged hours, giving the naturalness in the herbal fragrance. The soaps are handmade using cold process to retain the vital minerals and natural glycerin in the soap. You would be as surprised as me if i tell you that each Chinese character stamping on the soaps are done with man power of extreme strength and breathing accuracy. No machinery used. The company that manufactures YUAN soap holds strongly to their own principles. Offers pure nourishment from grains and premium oils to moisturize and provide gentle care for tender skins. 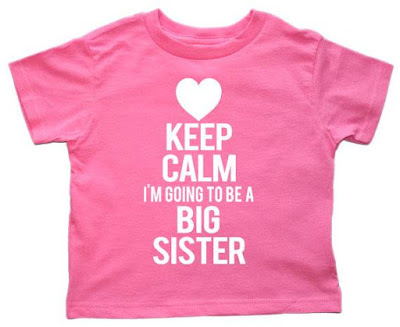 Suitable for babies, children and woman during and after pregnancies. Believed to bring positive energy and good luck by Desmodium caudatum plant and is used in various healing recipes, including sharing the same benefits as Wild Mugwort in soothing eczema skin. 3. YUAN Women's Soap from DILIGENCE: Special Series. 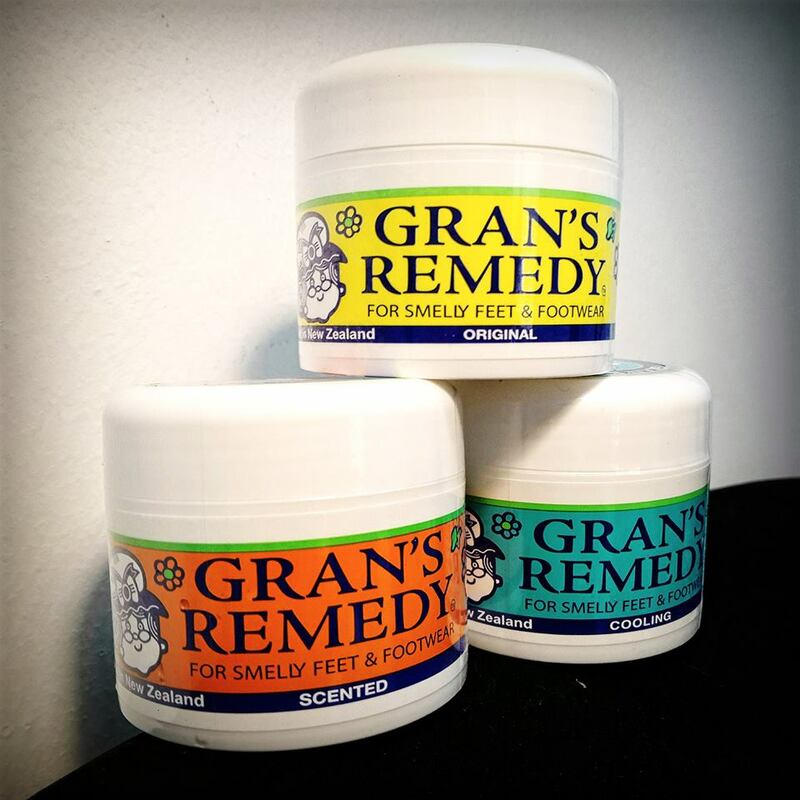 Involved 12 steps with natural herbal formula with multiple extracts to achieve in-depth cleansing and removal of excessive grease and darkening substances to restore respiratory functions for your pores. 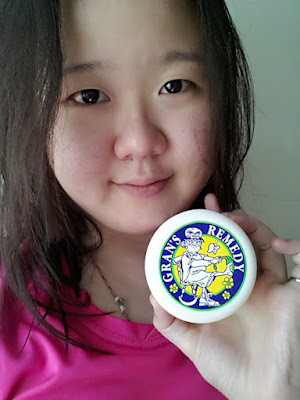 Dedicated for those with facial acnes and homemakers. The Happy Healthy Skin Set (worth RM69.90) consist if 3 different Yuan Soap bars (50g each). These soap bars at first look, doesn't look very attractive. The Chinese character embossed does improve the packaging a little. The soaps fragrance smells of floral traditional medication. Even for someone who cannot read Chinese description on the packaging like me, it's understood that it is made of natural ingredients. YUAN's smell is therapeutic and I felt my mind went on a holiday during shower. All three soap bars have slight varies in the scents. 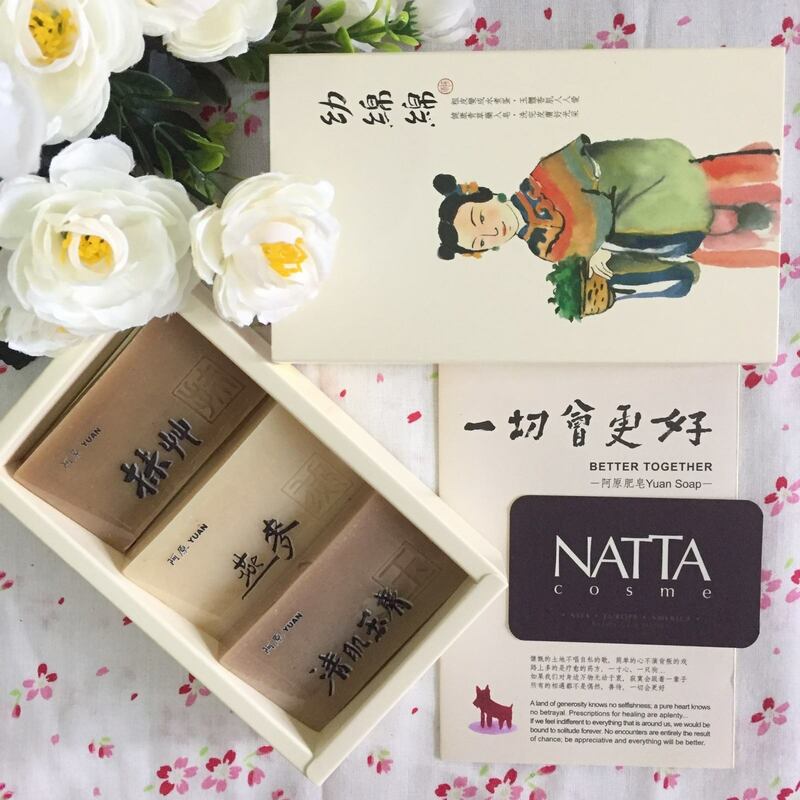 YUAN Oat Soap carries the refreshing lemongrass fragrance, YUAN Auspicious Soap has the mildest smell among all 3 and YUAN Women's Soap is almost similar to YUAN Oat Soap but with a tinge of mint. I am particularly interested in YUAN Auspicious Soap as it is suitable for sensitive skin as well as brings peace of mind. YUAN soap does not have any stinging sensation and is relatively easy to lather and rinse off. The smell is not very strong as it is made of natural ingredients, but fair enough, lasted me half the day. 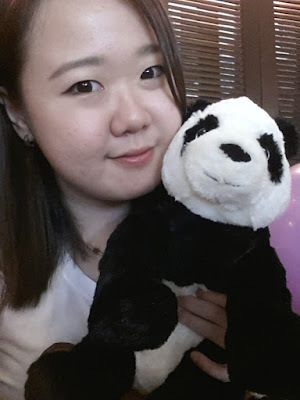 I felt more refreshed and definitely soul rejuvenated with each use of YUAN soap. I love how it smells and my mind is finally at ease knowing that the soaps are made of 100% natural ingredience, free from any coloring, preservatives and artificial fragrance. Suitable for those sensitive skin, regardless of age and gender. Giving a rate of 10/10, there is no way I can express how much in love I am with them. Although in the beginning, I was not too impressed by the plain packaging, I realized the content benefits outweigh the exterior look. I would definitely repurchase these life saving soap bars soon! The Happy Healthy Skin Set is currently not available but you can get the YUAN Soap bars (Original Size 100g) separately at RM36.90 each on Natta Cosme. It comes cheaper in the original size compared to the sets. 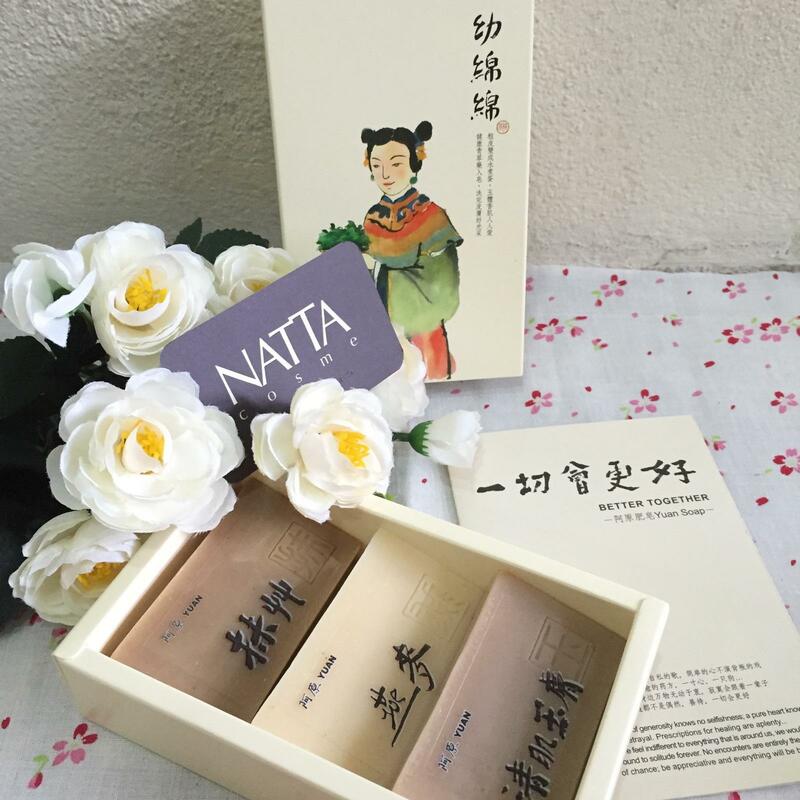 If you intend to try YUAN soap for yourself, check out Natta Cosme websites in the links below. With purchases above RM70, you will be entitled for a free Standard 3 Days Shipping in Peninsular Malaysia area. Key in the coupon code 1212 to redeem a FREE Skin & Lab Green Gel Oil worth RM127 with purchases above RM127. Limited coupons and valid for order payments before 14th December 2015.